Product prices and availability are accurate as of 2019-04-20 12:21:46 UTC and are subject to change. Any price and availability information displayed on http://www.amazon.com/ at the time of purchase will apply to the purchase of this product. The i.2-C 2014 Series of grade 1 door closer meets or exceeds certifications for ANSI A 156.4, UL, UBC 7.2 (1997) for positive pressure. This grade 1 door closer has heavy duty rack (piston and pinion) gearing to increase its durability and is used for either commercial or residential applications. 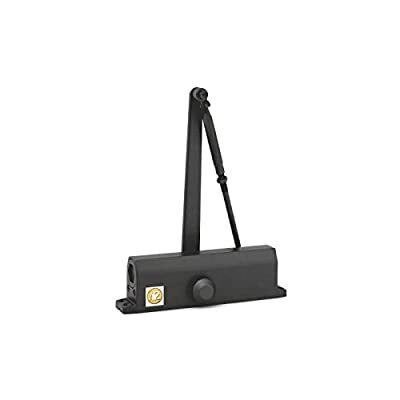 It is a multi-sized door closer with adjustable spring power, standard adjustable back check and delayed action valves and a closing and latch speed which uses a dual valve syatem for greater accuracy in calibration.